Growing up on the South Side, armed with the gift of gab and a people person demeanor, Toronzo Cannon wanted to be a social worker. A teacher accused him of wearing his feelings on his sleeve and young Toronzo figured he’d channel that sensitivity. Decades later, those same qualities have equipped him with the perfect skills for a modern bluesman. “I read, I look, I’m left-handed, and I’m observant,” Cannon says of his standout songwriting and guitar playing. A CTA bus driver for over 20 years, his keen eyes and ears combine with his emotional awareness to turn bus-scene snippets, friends’ situations, and personal experience into the kind of blues tunes that inspire repeat listening. “When I’m on the bus, I take notes at the red light,” he says. “I have the notes for the guts of six songs in my pocket right now.” His off-kilter, left-handed perspective seems to supply his music with an unexpectedly fresh take that truly represents 21st century blues. However, being a bluesman wasn’t even a consideration for Cannon until he started playing guitar at 22. Although he grew up in the shadows of the iconic Theresa’s Lounge, with his uncles regularly joining the jam sessions, Cannon didn’t realize those influences until much later. “My uncle Ricky was a barback who sometimes filled in for bands playing drums and my uncle Peewee was a ladies man who was always at Theresa’s,” he recalls. “Baldwin’s Ice Cream was down the street and we’d go at night to get waffle cones and I’d lean over the bannister [at Theresa’s] and see my uncles. I’d hear the blues streaming out, but I didn’t really know who was playing.” Between those late-night excursions and his grandfather’s blues records, Cannon absorbed a blues foundation that would later serve him well. Apparently, such a bluesman would make sure that his music respected the past while saluting the future with modern-day observances. Another track, “Shine,” underscores the point by tackling death – that old blues trope – with an unexpected treatment. A delicate ballad with three separate stories sung by Cannon’s Chicago blues comrades Mike Wheeler and Joanna Connor, the song addresses suicide, biracial issues, and Armenian history in one well-structured swoop. The cultural references and vivid imagery used by Hendrix and bluesmen before and after him are most prominent in the stunning title track of Cannon’s album. “John The Conquer Root” throbs with Delta heat and striking blues phrasing. 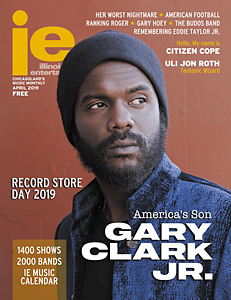 Cannon names Gary Clark Jr. as the main influence for the six-minute tune, and the stinging guitar, eerie harp playing, and haunting tale of working a spell with “a piece of your hair in the palm of my hand,” echoes with the essence of the young blues upstart. 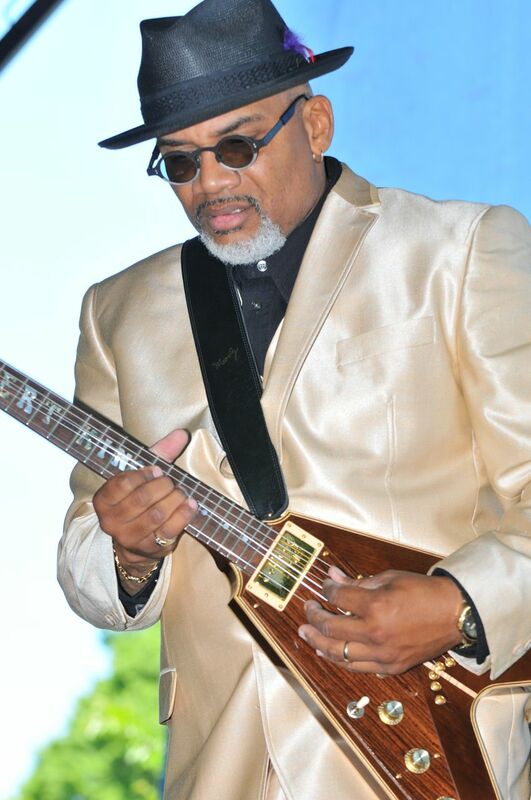 Toronzo Cannon plays July 11 at Kingston Mines (2548 N. Halsted); July 12 at Lee’s Unleaded Blues (7401 S. South Chicago); and July 13 at Nick’s Beer Garden (1516 N. Milwaukee) in Chicago.